Ambience Air’s 36 Month Interest Free Finance Sale – Why Wait? Own Yours Now! homeSpecials and Air Conditioner SalesAmbience Air’s 36 Month Interest Free Finance Sale – Why Wait? Own Yours Now! Why Wait? 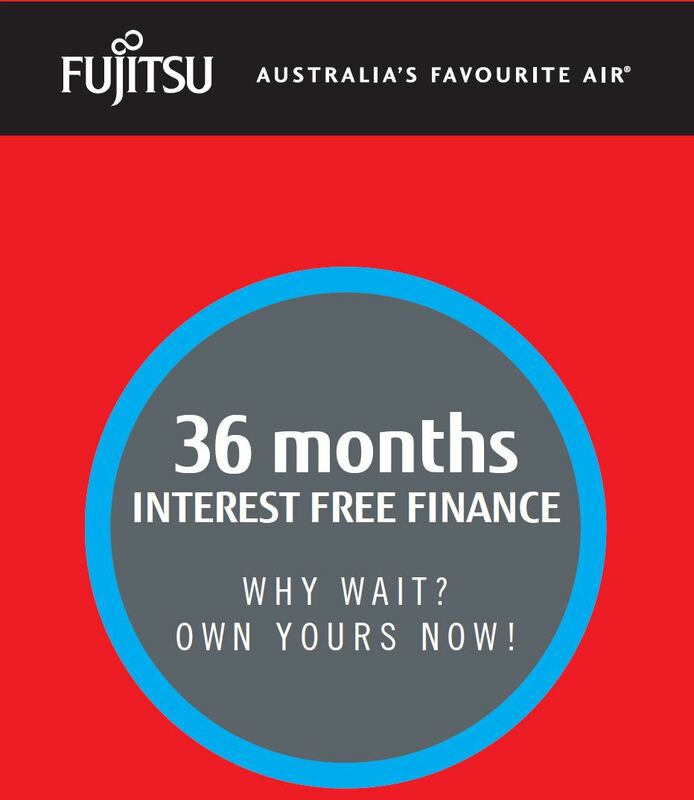 Get Pre-Approved in less than 15 minutes with NO DEPOSIT & NO INTEREST FOR THREE  YEARS on all Premium Fujitsu Ducted Inverters – Book your Free in home Quote Now! Whether you are investing in a new Ducted system, upgrading your existing reverse cycle system or changing out your evaporative cooler to a Premium Fujitsu Inverter Ducted Reverse Cycle all year round comfort solution. • Purchase any Fujitsu Ducted Air Conditioning System from Ambience Air during the promotional period. • Why Wait? Own Yours Now and follow the four easy steps below to be comfortable in your home for many years stating now. STEP 1 – Select your home living and bedroom area sizes from the list below. You can always simply call us on 1300 262 436 and get a quote now. STEP 3 – You will receive a decision via SMS and email to accept the credit offer with personal “PIN” confirmation. Your Ambience Air Comfort Expert will be notified of your finance approval. STEP 4 – Simply click here to contact your nearest Ambience Air store or Comfort Expert you have been dealing with once approved and confirm your comfort solution along with booking your installation day from there. 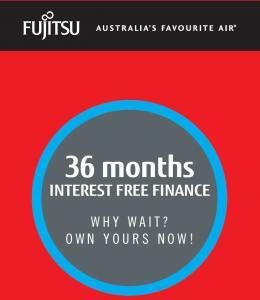 You can always Get a free quote from our friendly sales team first and find out more about the FUJITSU THREE  YEARS INTEREST FREE FINANCE. Why Wait? Get Pre-Approved in less than 15 minutes with NO DEPOSIT & NO INTEREST FOR THREE  YEARS on all Breezair Evaporative Cooling systems – Book your Free in home Quote Now! Whether you are investing in a new Breezair cooling system, upgrading your tired old existing evaporative cooler machine, or replacing your entire evaporative cooler system including the ceiling vents & ducting to the quietest and most efficient Breezair comfort solution. HOW DOES THE 36 MONTH BREEZAIR COOL FINANCE WORK? Purchase any Breezair Evaporative Cooler from Ambience Air during the promotional period. Why Wait? Own Yours Now and follow the four easy steps below to be comfortable in your home during the hot summers for many years stating now. STEP 1 – Select your home’s “TOTAL LIVING AREA” size from the list below. *Homes above 231m2 are priced on application so please contact one of our friendly sales team in your local Ambience Air showroom for a no obligation quotation. You can always simply call us on 1300 262 436 and get a quote for all the above Breezair solutions now. STEP 3 – You will receive a decision via SMS and email to accept the credit offer with a personal “PIN” confirmation. Your Ambience Air Comfort Expert will then be notified of your finance approval. You can always Get a free quote from our friendly sales team first and find out more about the BREEZAIR 3 YEARS INTEREST FREE FINANCE. Call us on 1300 262 436 (all areas) to save thousands on your new comfort system this month. ALL PRICES SLASHED DURING THIS SALE SO DON’T MISS OUT! – GET A QUOTE and keep your family comfortable today! *Approved applicants only on a Lombard 180 Visa card. Terms, conditions, fees and charges apply including a $99 Annual Fee charged on the account open date and annually on the anniversary of the account open date. Minimum finance amount applies and is based on the promotional term. Interest, currently 23.99% p.a., is payable on any balance outstanding after the interest free period. Ask in-store.